Hello, I'm a guy from Brazil looking for friendship and fun! Around 2 years since I started to like MLP. I shared some interests in my profile, but not all. I have a busy student life, but I like to roleplay whenever I can. I am more than positive you will enjoy your stay, to start off of course... You should ﻿probably read the site guidelines and protocols﻿ of RP before getting started. The rules are easy to follow and simply a way to allow everyone to ﻿have ﻿fun. 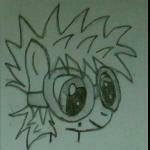 Now, anypony﻿ is﻿ allowed to post a ﻿thread in the Free For All sectio﻿n﻿ without making a character application... This is ﻿where things may seem a bit confusing, but do not fret!﻿ A ﻿cha﻿racter application is basically a description﻿﻿﻿ of﻿ your OC or a character you would like to use in the World of Equestriaforum﻿. In fact, they're no﻿t at all hard to make, here is a guide on﻿ how to make ﻿one and here is an example of one (As you can see in the comments of my thread, a Senior ﻿RP Staff﻿﻿ or Moderator put an approval message, this is when you ﻿know you're all set for RP fun in the﻿ WoE section). As you can ﻿see, under your profile﻿ image it says "Member", once it says "RP Certified" like under my profile image, that is when you﻿ know﻿ you're set and ready to RP in the WoE section as well. Also! It may take a day or two for you to become RP Certified, for me, it took a bit longer and if you've been waiting﻿ a while, don't﻿﻿hesitate to contact staff... They're really nice and helpful! Hi. Are you in for an rp sometime? Alrighty, I'll see you there. Nevermind....I'm sill not able to react on woe rps or start a new one myself, even though my oc has finally been approved..